If you’re looking for a pair of budget wired earphones, then you may have already come across British audio company RHA - and in particular, the RHA S500u and S500i in-ear headphones. Although wireless and true wireless headphones are all the rage at the moment, there are some instances where wired simply works better. Without the annoyance of dodgy Bluetooth connections, it’s easy to see why many of us haven’t cut the cord quite yet. Not only that, but wired headphones have historically delivered a better standard of audio quality than their wireless counterparts, as it’s more difficult to deliver hi-res sound over a Bluetooth connection. That’s not to say wired headphones will always give you a better listening experience; in fact, as technology advances, wireless headphones are beginning to compete with and even outperform them in terms of quality - but not yet in terms of price. So, if you’re looking for a budget-friendly, no-nonsense pair of in-ear headphones, wireless may just be the way to go, and the RHA S500u and S500i models could be a great place to start. But which one is right for you? Let’s start with the S550us. When we reviewed them, we were blown away by the audio quality they provide, especially when you consider the price - $40 (£30 / AU$52) is an absolute steal. Granted, they aren’t the highest quality headphones money can buy, but we were impressed with the neutral presentation and warm, pleasing timbres - this means they provide a pretty accurate representation of how your music was originally mixed in the studio. 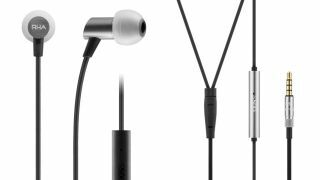 They are also noise isolating, so you won’t disturb people around you with your music leaking from the earbuds. We found the overall sound to be well-balanced, although you may find a little sibilance (sharp ‘sss’ sounds) in the highest frequencies, which can make your ears feel fatigued after long listening sessions. We also felt the soundstage was slightly narrow, so you can’t particularly pick out where instruments are coming from or the acoustics of the recording room. They might not be high-spec enough for true audiophiles, but if you’re a casual listener, it’s unlikely that this will bother you very much. The cable features an inline remote with a microphone and universal button which can be used to stop or start your music whether you use an iPhone or Android phone - so you’ll still have to reach into your pocket to change the volume. They come with three different silicone eartips, so they should be pretty comfortable to wear for long periods of time. How do the S500is differ? Although the S500i headphones are very similar to the S500us, there are a few key differences that are worth considering. Firstly, the price: the S500is retail for $88 in the US, but are far cheaper in the UK at just under £28. In Australia, you can get them for around AU$80 - it’s not clear why they are so much more expensive outside of the UK. The main difference between the S500us and the S500is, is that, while the former is compatible with all smartphones, the latter is specifically designed to be used with iPhones. This is reflected in its three button inline remote, which can change the volume unlike its predecessor... but only on iPhones. Pressing these buttons while connected to an Android phone will have no effect. It’s the same story for the microphone, although some Android users will find the stop/start button on the inline remote still works. To be clear, we haven’t reviewed the RHA S500i headphones, but having tested the very similar S500u model, we’ve got a good point for comparison. In the US and Australia however, the cost of the S500i headphones is significantly higher than the S500us, so which one you pick depends on how important that extra remote functionality is to you. Either way, both sets should provide a decent level of audio quality, as well as the convenience of not having to pair via Bluetooth every time you listen. If you’re thinking of buying either model, it’s worth bearing in mind that Black Friday is coming up soon - so if you wait until November 23, you could bag yourself a sizable discount. Make sure you bookmark our Black Friday and Cyber Monday deals page for the latest deals news and our tips and tricks for where to find the biggest discounts on November 23.